Thirty times more than the number of the inhabitants. 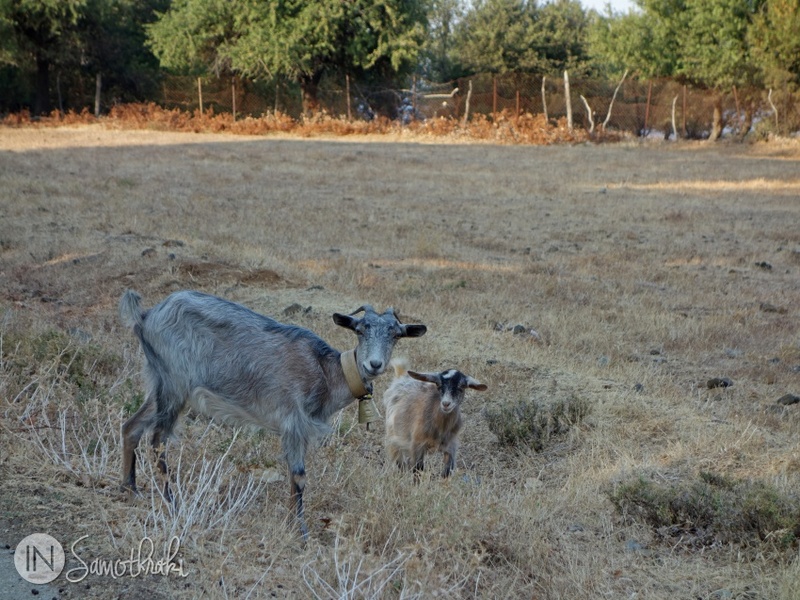 So the statistics say – 100.000 goats for 3000 inhabitants. 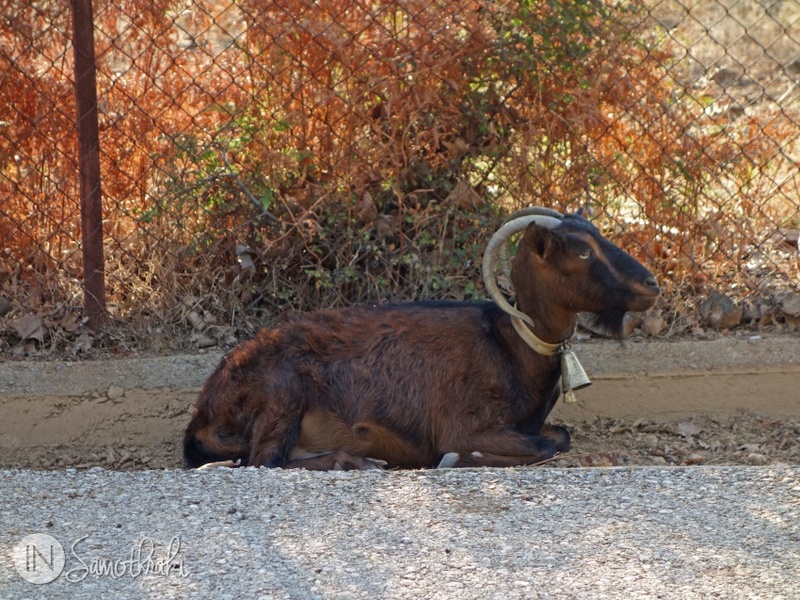 The most of the goats (almost 90% of the total) live freely. 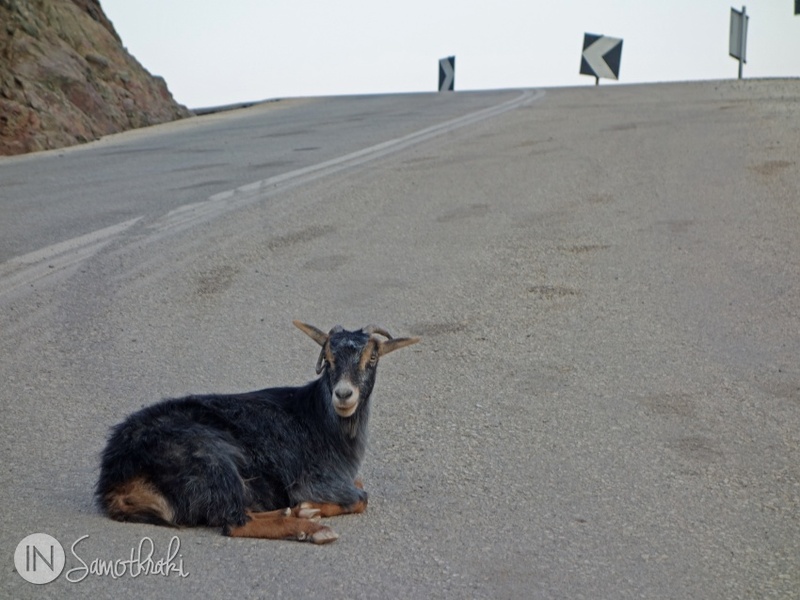 They are everywhere – on the road, near the road, on the rocks, on the beach, in the trees, even on the cars if you are not careful. They slowly chew some leaves while they look at you curiously, from one side. After all this is thieir island…you are only a guest. 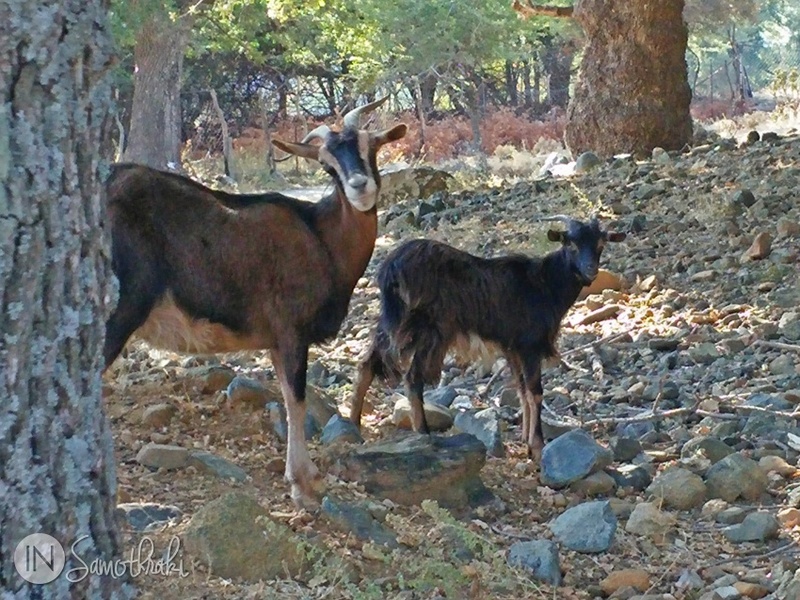 There are two kinds of goats in Samothrace: o more recent species and an old species of wild goat with curved horns, called Capra Aegagrus Pictus, a relative of the Cretan ibex known as kri-kri. 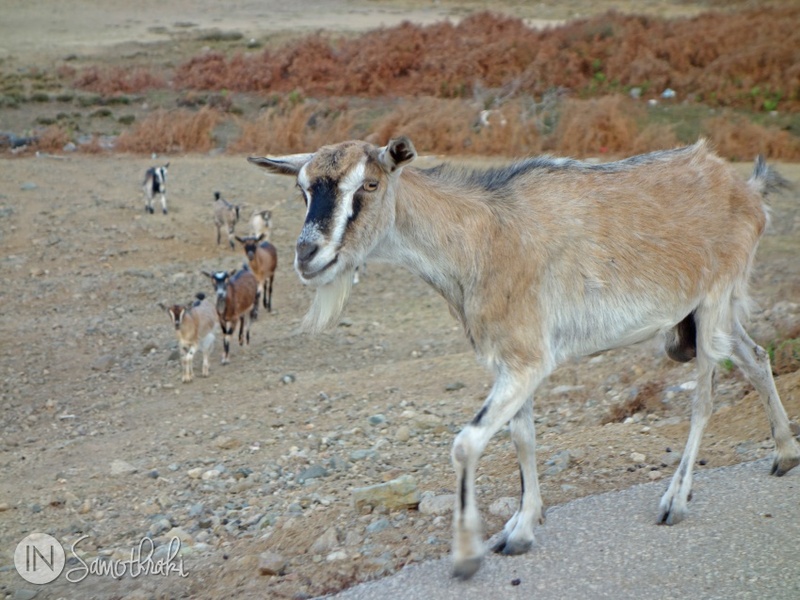 The goat are an important part of the local economy and represent the main activity of many breeders of the island. 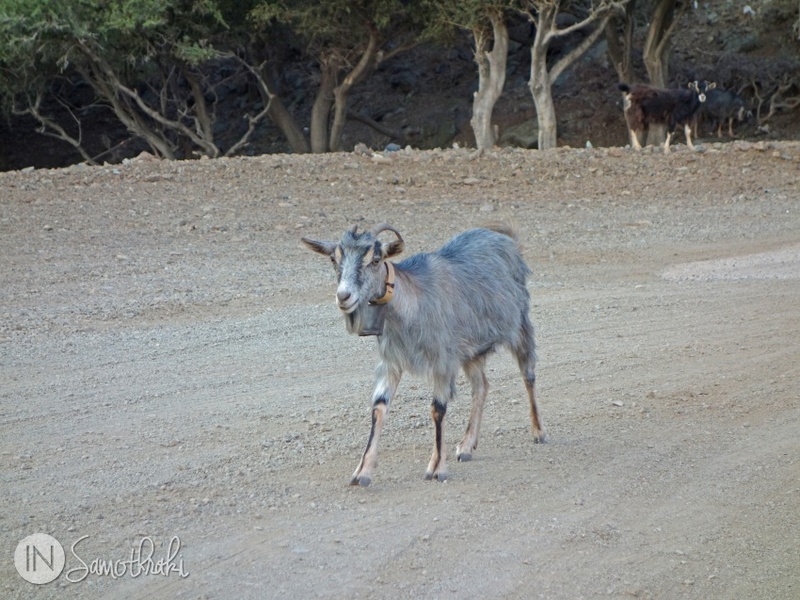 Almost all the locals own some goats. Some of them have farms with which they gain their existance. There's also an app called Happy Goat which helps you to make decisions so that your farm is profitable and in the same time not to damage the natural environment, taking into consideration economic and ecological factors. 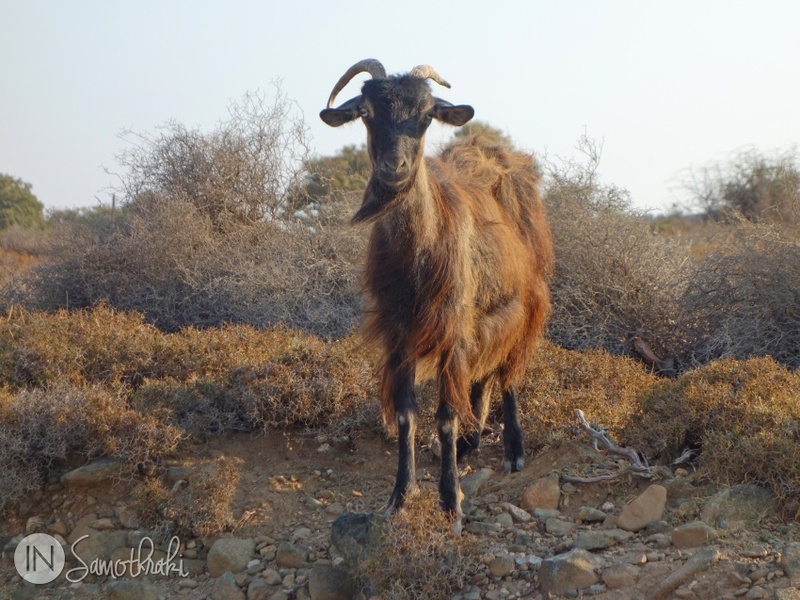 That is because unfortunately there is this downside: so many goats destroy the vegetation and generate the soil erosion. 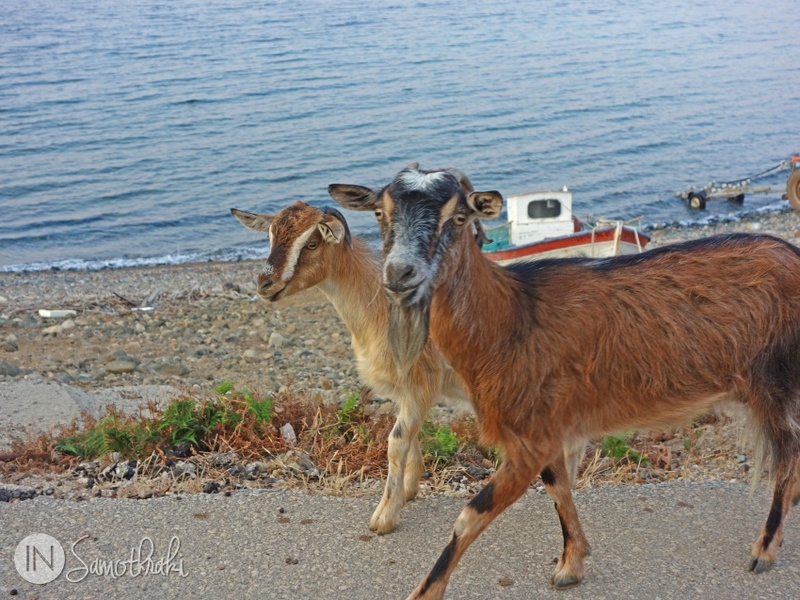 "Katsika" and "katsiki" are the Greek words for "goat" and "kid" and in the menu of the tavernas you'll find the goat roast as "katsikaki". It is one of the most characteristic dishes on the island. It is cooked either on a spit, either in the oven, with rice, potatoes, wine, tomatoes, pumpkin, quinces, eggplants or even honey. A portion costs about 8-9 Euro. The only thing missing from the menu is "goat with goat", as the people from the Karidies restaurant were joking. By the way, Karidies taverna is a must on a Sammothrace holiday. 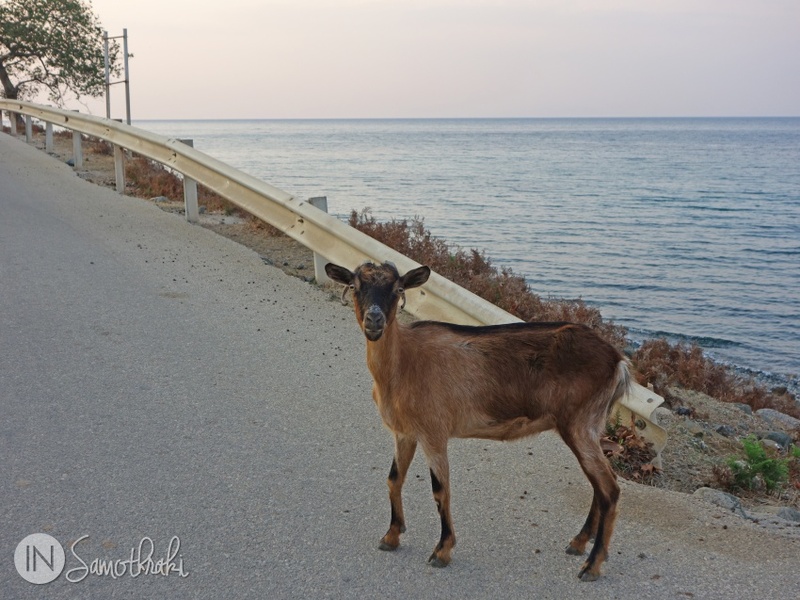 The charming Profitis Ilias village is famous for the goat roast and the most famous taverna there is called O Vrachos. It is one of the main culinary attractions of the island, so it is also a must. 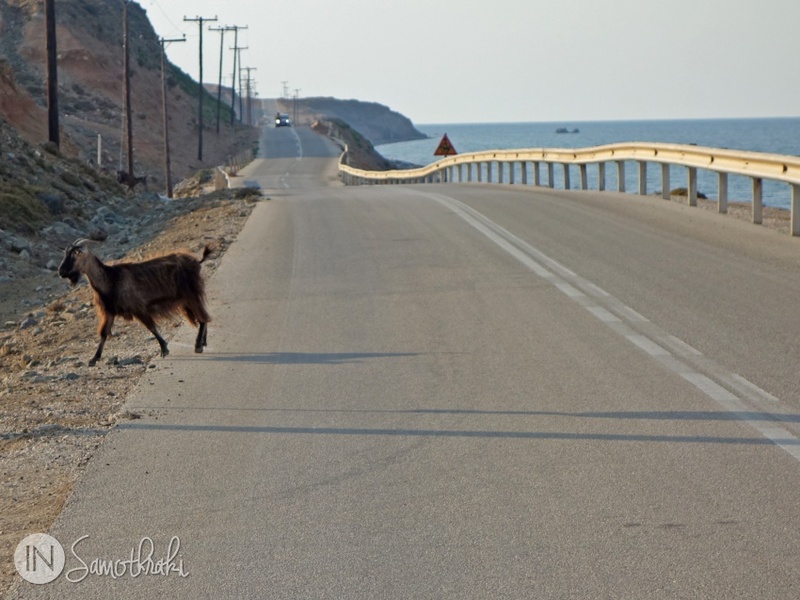 Before leaving the island don't forget to take a look at the To Gid – Goat Shop from Chora ("gidi" means "small goat"). You'll find it in the center, near the tavernas and the church. 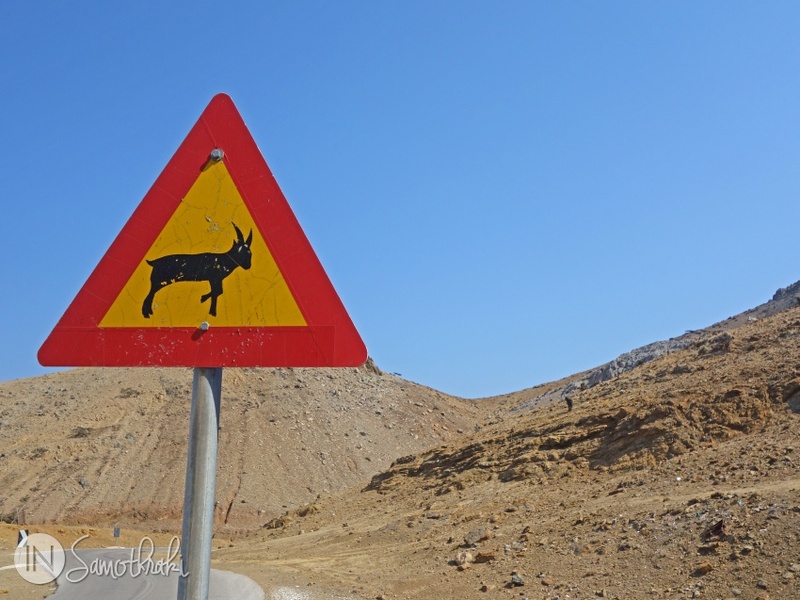 It has a nice collection of magnets, t-shirts, hats and all kinds of objects bearing the emblem of the island – the Samothracian goat. Can you believe that there is no comment for this article? Be the first to post your opinion!